Along with Mermaid Man and Barnacle Boy, we got this set from Toys R Us as part of the Buy One Get One 50% deal on Imaginext toys. After getting the Power Rangers themselves and a set of Putties I knew there wasn't much else out there in terms of Power Rangers aside from this. I'm still not sure whether or not I want to put down the money for the Mega Zord if only because it's a matter of not having the space to keep it in our current Imaginext Universe, which is also a reason why it was better to go for the Rangers themselves over their Zords with them. Though should I see a Zord on clearance or at Savers I won't pass it up. 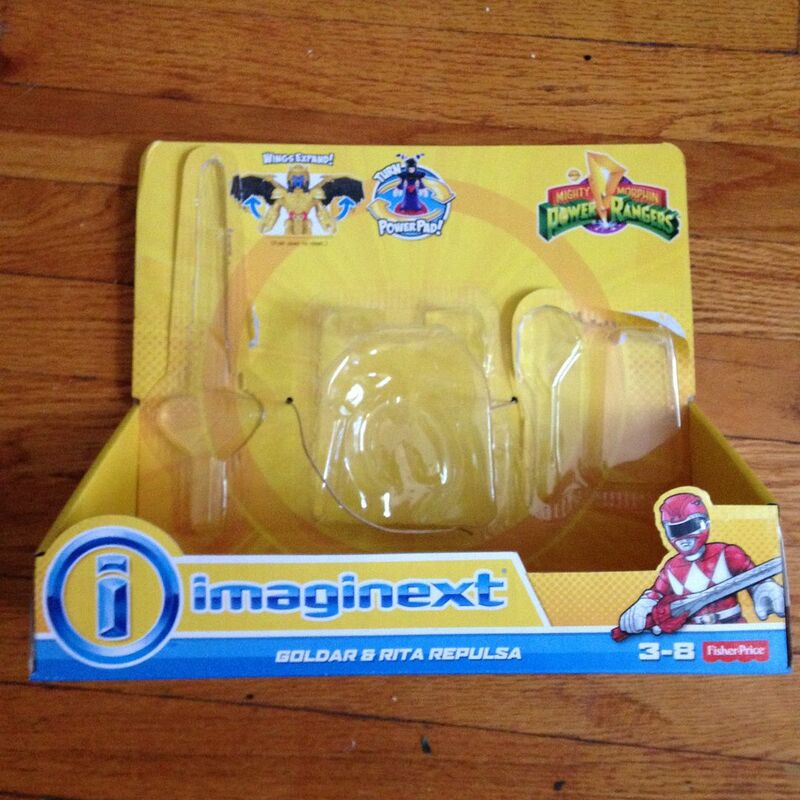 I also am aware that the White Ranger with Zord exists at Walmart and so that's my main want now that we have this and it's really the only thing left that I want in the Imaginext MMPR line. 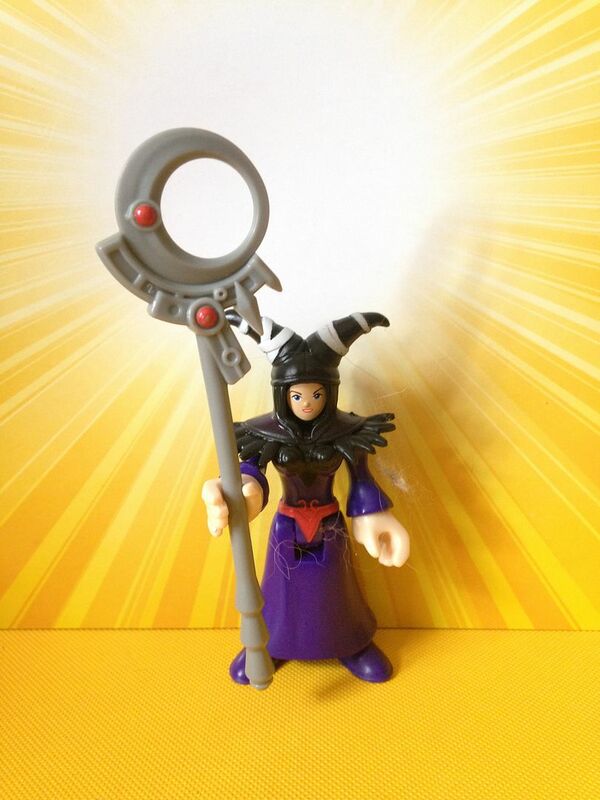 Rita Repulsa is like most other Imaginext figures. You can take the top part of her- with the horns- off and put other things on her such as the parka from the snowboarder or even the witch costume if you prefer. She also comes with her staff and so she's quite the impressive figure even if she was just coming in a two pack with someone else but as far as I know this is the only way to get Rita Repulsa right now. 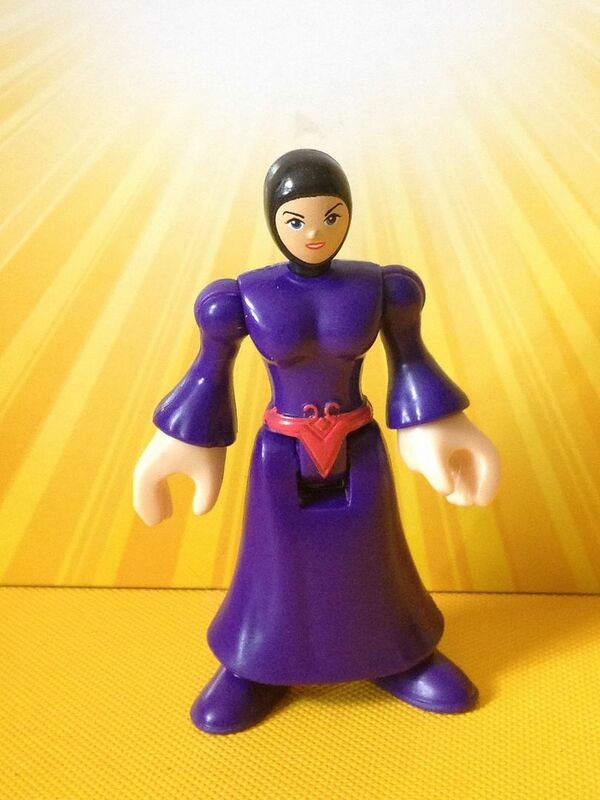 (There is a K-Mart exclusive pack out there, but I don't believe she is in a two pack with a single putty, for example) For me, growing up watching Mighty Morphin, Rita Repulsa is just the essential villain for them. The fact that she can do something now to terrorize Gotham City or the such just makes it that much better. If you told me as a kid that I could have had Rita Repulsa enlist the help of Bane, Scarecrow, The Joker and Lex Luthor to capture the Power Rangers and they would have to be saved by a team up of the Ninja Turtles, Superman and Batman I would have been ecstatic. 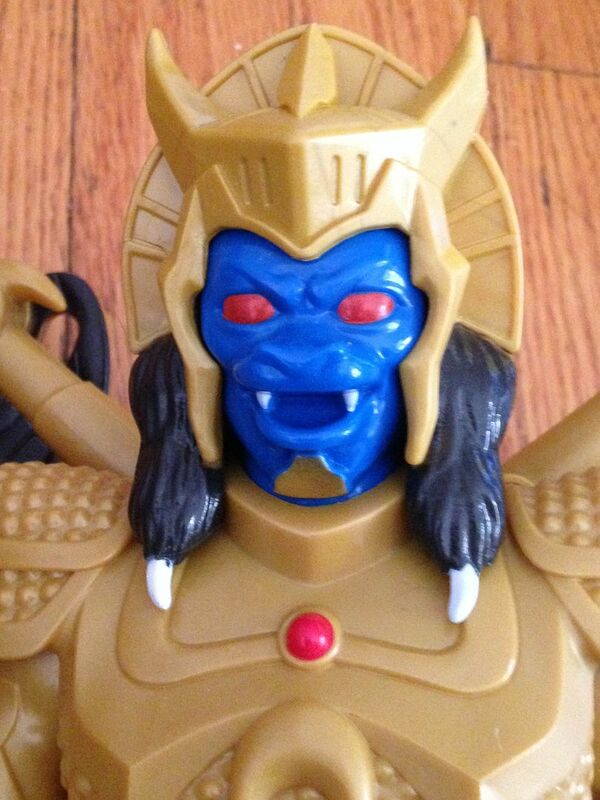 On top of this, the nice thing about Goldar is that he is huge. Imagine getting these two in the same size and having them with the putties trying to take down the Power Rangers. 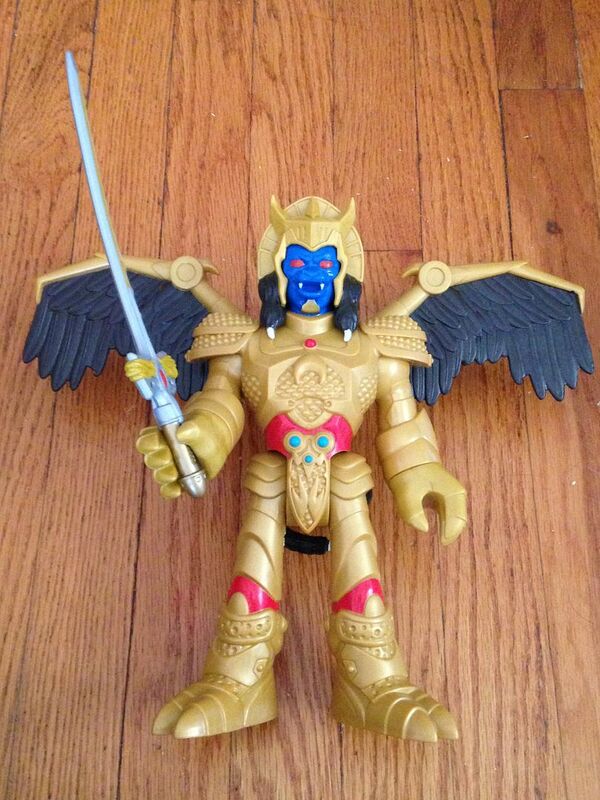 I feel like having this massive Goldar makes it seem a bit more even matched or at the very least maybe even it gives the advantage to the villains in which case the Power Rangers need help from other Imaginext realms. Just the fact that these villains are so cool and can be released into the Imaginext Universe makes me wish that I was a kid growing up now. As fun as it is to have all of these different characters crossing over into each other sometimes the best thing is for the villains to combine forces as well. 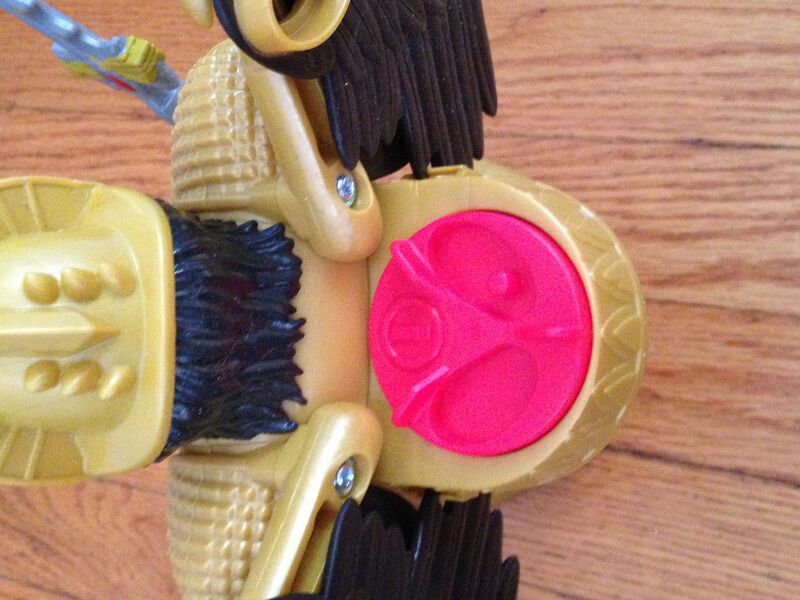 Maybe The Joker could hire Goldar and Rita Repulsa to help take down Batman. Who knows. The possibilities are endless, really, when you consider how many toys are currently out there in the Imaginext line and the similar lines by other brands. 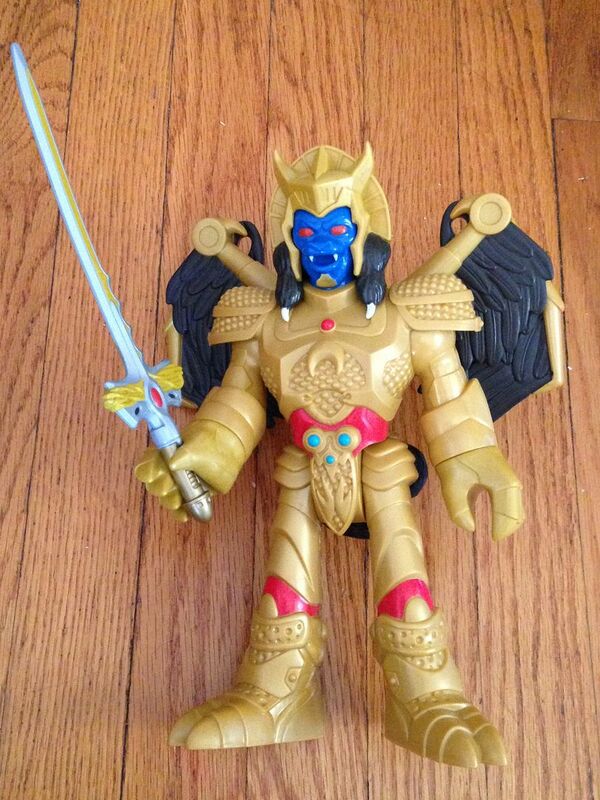 Though there does exist an image out there of Goldar and Lord Zedd in the standard Imaginext two pack (Which Walmart says is currently unavailable here) I'd be fine with just this Goldar. Obviously if I saw that two pack I'd pick it up for Lord Zedd and then having the smaller Goldar isn't a bad thing, but until some of these sets such as that and the White Ranger make their way to Walmart this pretty well completes the Power Rangers Universe for us in Imaginext form. 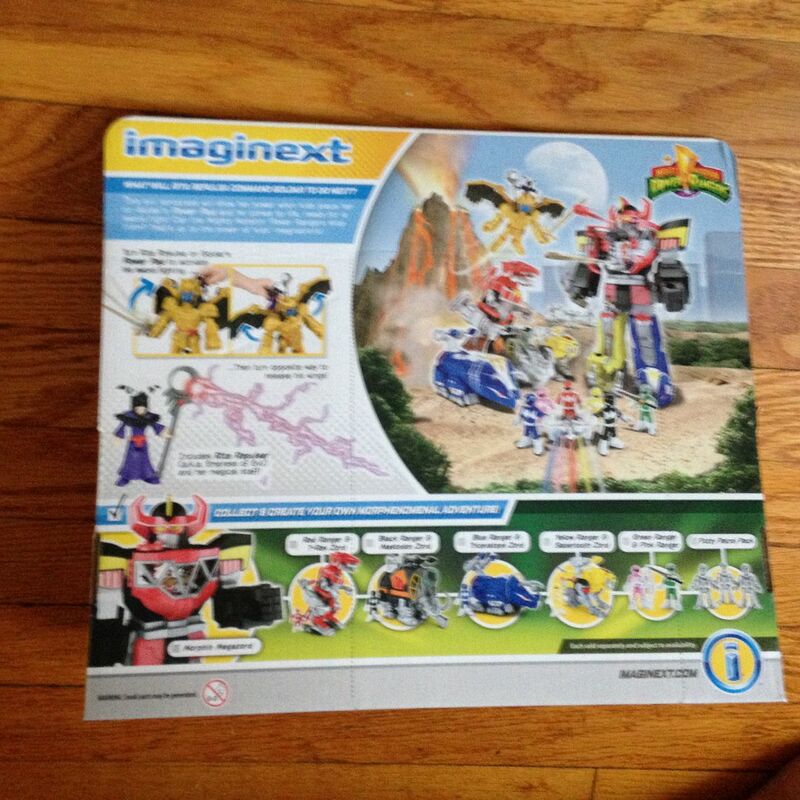 I fully believe that Imaginext should create some form of every Power Rangers series out there into figure form but it's going to take a lot of time, money and space if you're including all of the Mega Zords. A set of the main Rangers and one or two villains would be perfect for certain series but I do feel as if the next place Imaginext should go would be the current series of Power Rangers. Though my biggest want is of course Power Rangers SPD for Doggie Cruger because why wouldn't you want him in his normal form and as the Shadow Ranger?